The weather has officially turned fall-like, and put me into full soup making mode. There is nothing better than having a delicious pot of soup simmering on the stove on a cold day. 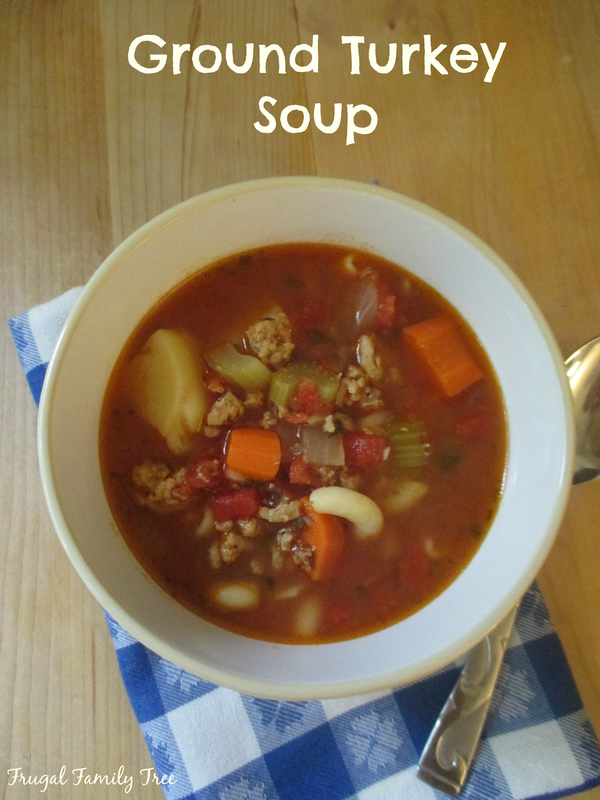 This soup calls for ground turkey, which I use often as a substitute for ground beef. It's healthier, and my family likes it. 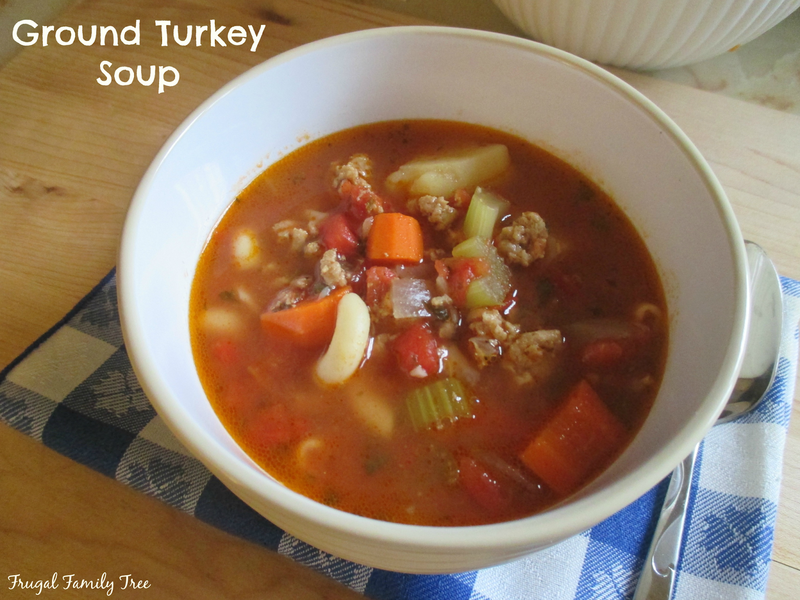 One of the good things about this Ground Turkey Soup is that it's loaded with veggies, and is a hearty soup, perfect for dinner. Sometimes I have a small salad with a soup dinner, and some kind of bread, too. I do think you can skip the salad this time, as this soup is very filling. And there should be enough left over for lunch the next day, which is always so nice. In a Dutch oven, cook turkey over medium heat until no longer pink; drain. Add the broth, water, tomatoes, celery, carrots, onions, potatoes, tarragon, garlic powder, parsley, salt and pepper. Bring to a boil. Reduce heat; cover and simmer for 30 minutes or until vegetables are tender, stirring occasionally. Cook macaroni according to package directions; drain. Stir into soup; heat all the way through.